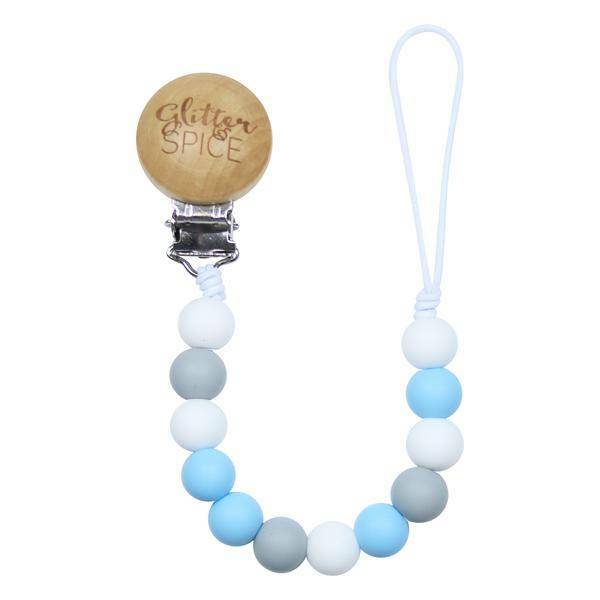 Pacifier Clips are designed with one thing in mind: to create a stylish, and chewable pacifier clip that keeps your favorite life-saving pacifier with your child. 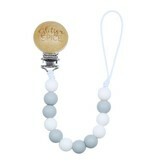 You can also attach one of our popular teethers on any of our Pacifier Clips! 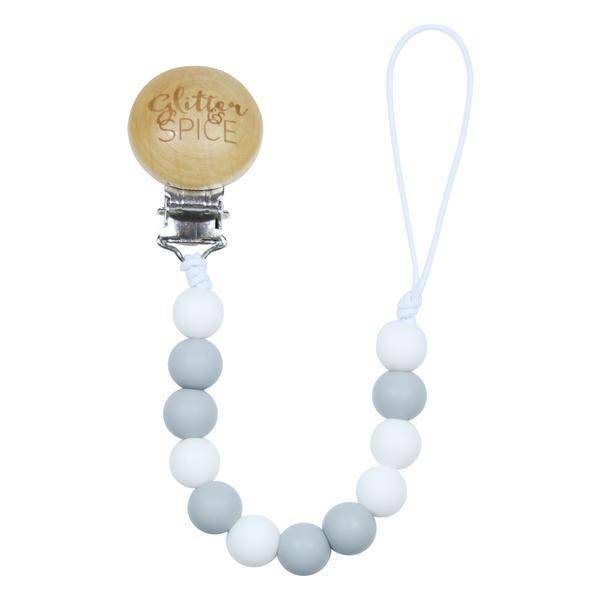 Made from 100% food grade silicone, glitter and spice products are free from harmful chemicals and has zero calories!